The Right Reverend Mark Davies was born in Manchester on 12th May 1959 and baptised at St Richard’s Church, Longsight. Bishop Davies was educated at St Richard’s Infant School and St Robert’s Primary School in Manchester and at Broadstone Hall County Primary School and St Anne’s High School in Stockport before beginning his training for the priesthood at Ushaw College, Durham. 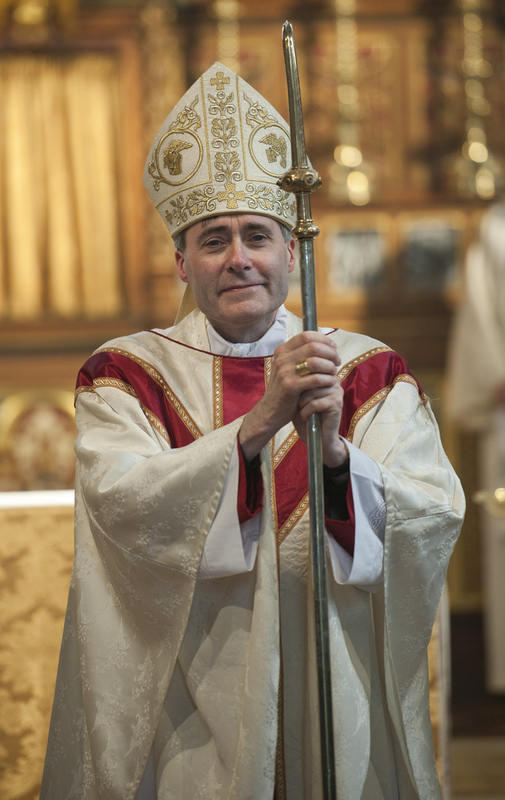 In December 2009 Pope Benedict XVI appointed Monsignor Davies as the Coadjutor Bishop of Shrewsbury. He was ordained Bishop on 22nd February 2010 at St Anthony’s, Wythenshawe, Manchester. On 1st October 2010 Bishop Davies became the 11th Bishop of Shrewsbury in succession to Bishop Brian Noble.